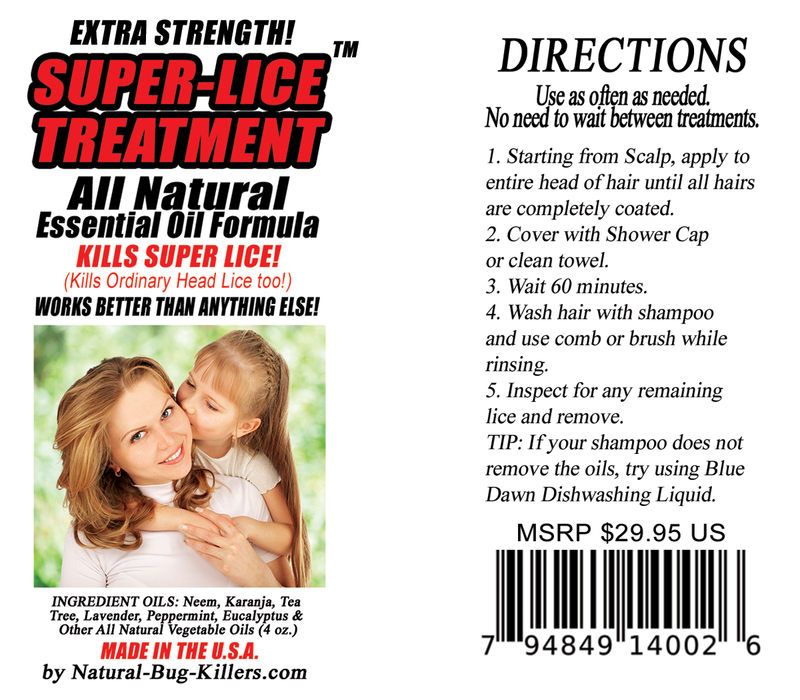 There is a new Super Lice Treatment product on the market for the new school year. The name of the produce is not very clever: "Super Lice Treatment". But the product is excellent and works to kill Super Lice. We give it our highest recommendation. We also recommend their "Nit Remover" product which you can see: HERE.